Sometimes I get sent something good in my email, although it seems to be rare these days. 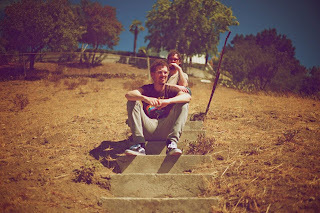 Asian She is an alternative/pop duo of Noah Lebenzon & Thomas Froggatt. They met in Lawrence, Kansas in 1998 and 14 years later they finally wrote and recorded 5 songs resulting in Asian She EP. What I like about these guys is the deep baritone and somewhat dark vocals mixed with some 90's guitar work, plus each tune has a nice groove to it. Stream the EP below.